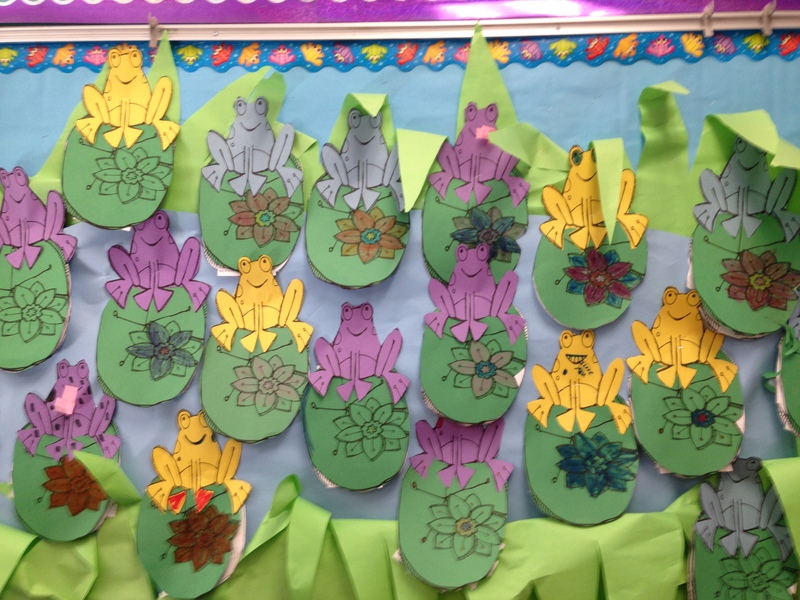 Frog Fun! | Mrs. Anton's Class! ← Fun in Space! 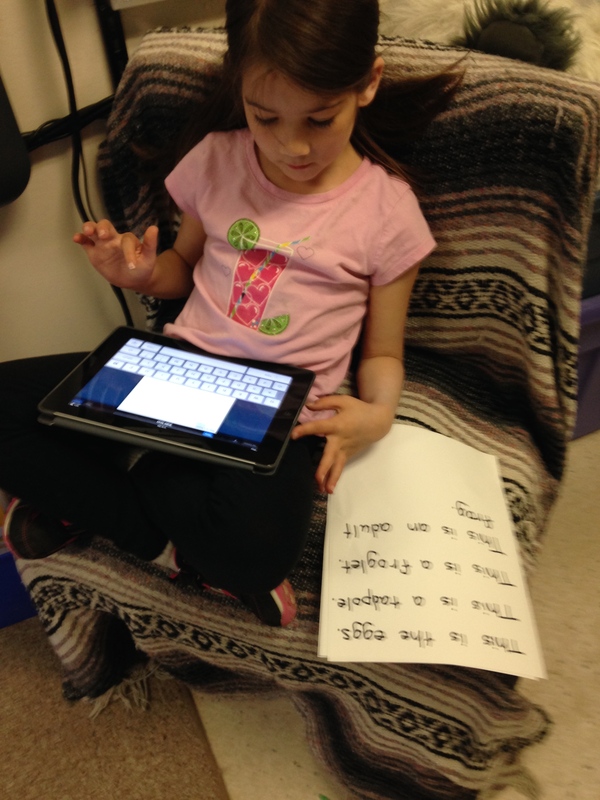 Using Green Screen and Augmented Reality! 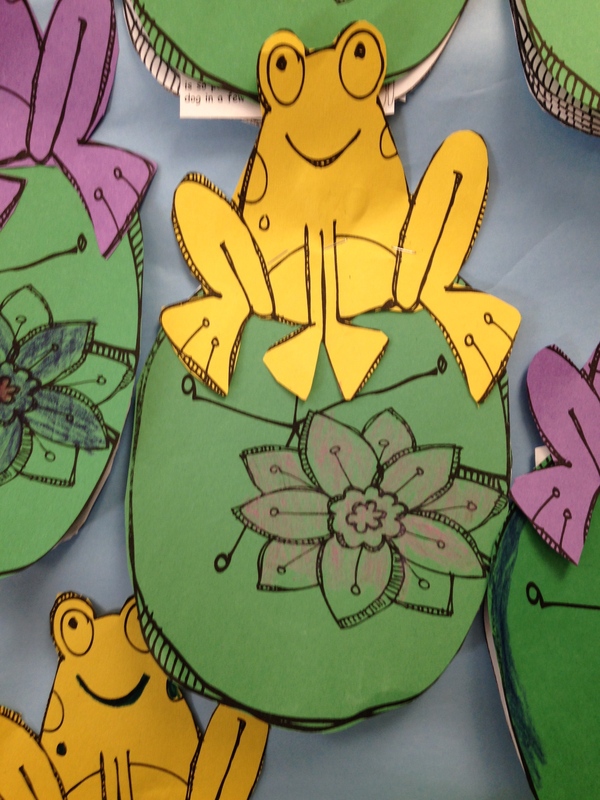 We have been having a lot of fun with our frog unit! 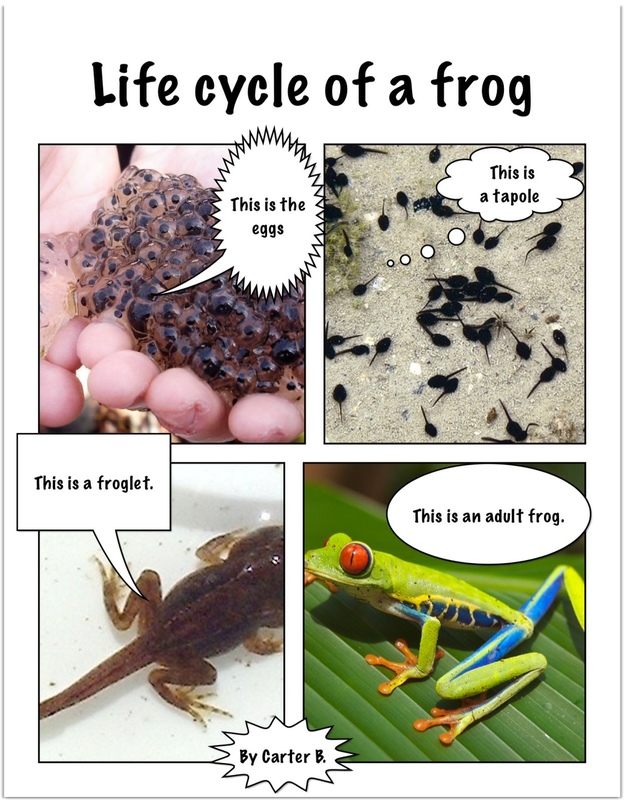 The children have been working on creating a page using the iPads and an app called Strip Designer to create a page about the life cycle of a frog. 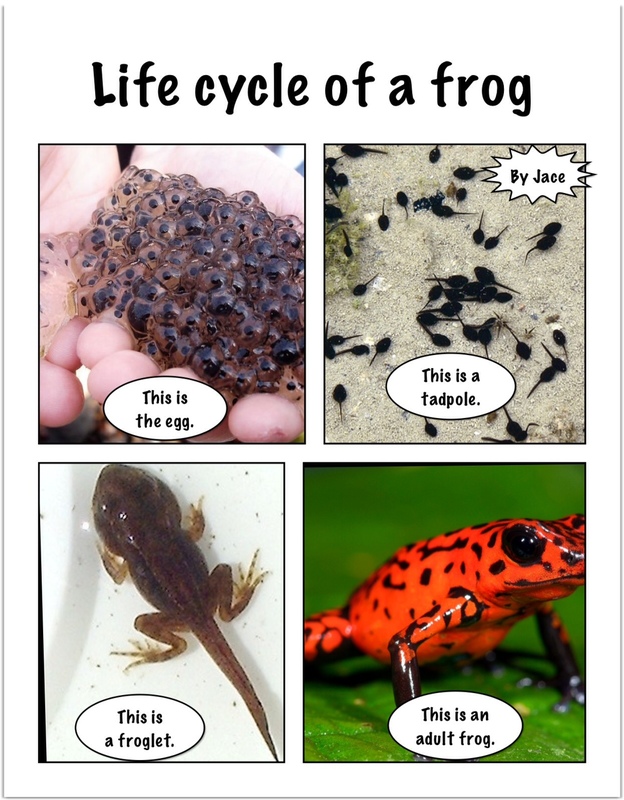 I pre-loaded some pictures of the various stages of the life cycle on the iPads and saved them to an album for the children. They had to open up the camera roll and place the pictures in the frame we had chosen. 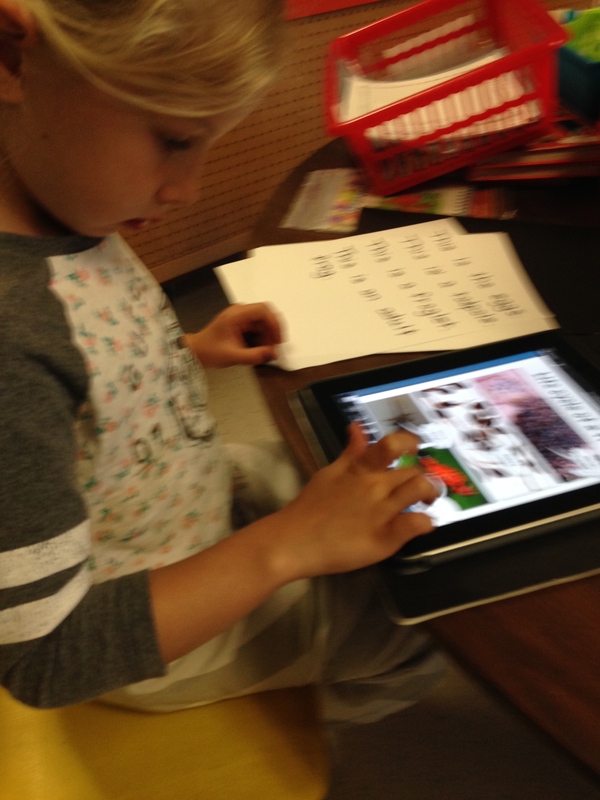 After they had chosen their pictures and placed them in the corresponding spots they had to add the text. As usual, they were fearless. 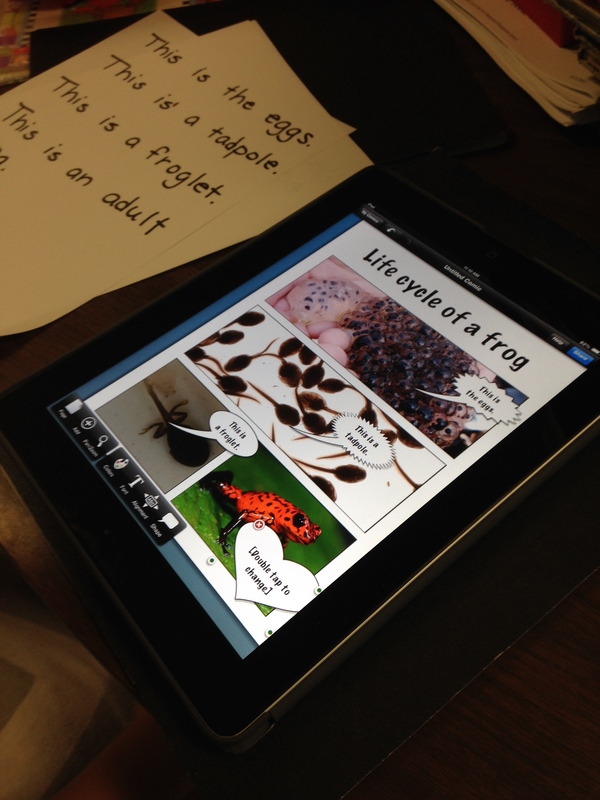 I had the children take turns one at a time on one iPad. 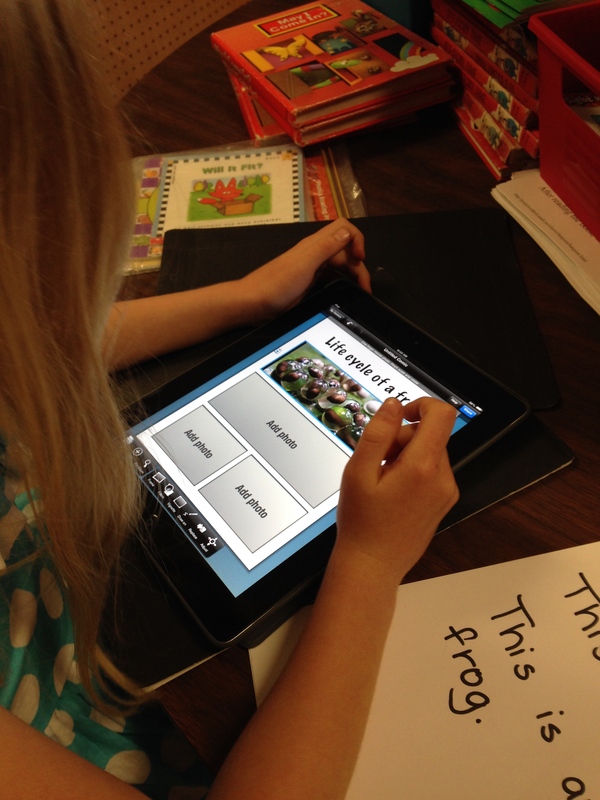 When one person finished they passed the iPad on the next person! 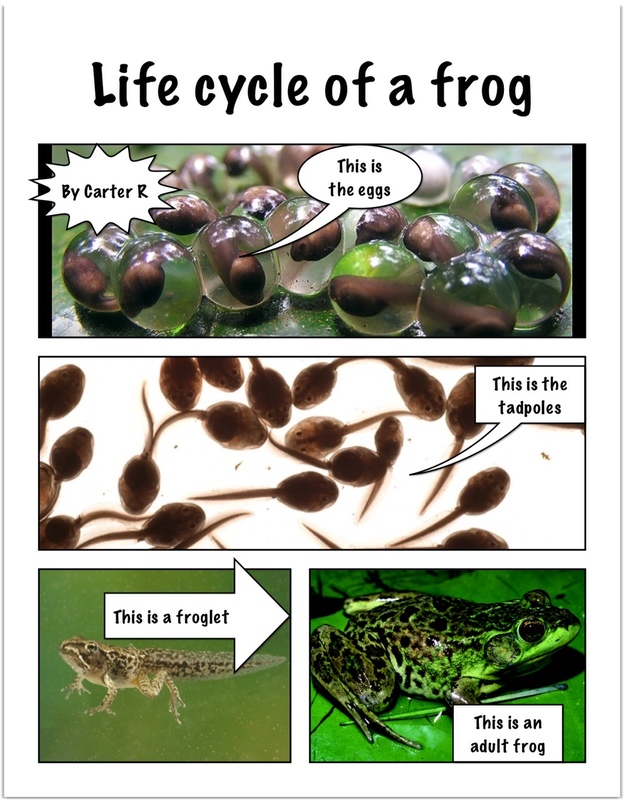 We also completed a research project about frogs! We read the facts together and sorted them into the appropriate categories! Then we put these covers on them! And we put them in a little pond! Ribbit!